What is the essence of having a blog that does not have readers to read the content? What is the essence of writing everyday without getting visitors to your blog? Are you in a Dilemma over this? Worry no more; just make sure that you read each and every line of this blog post! As a blogger, we derive joy from our blog when we see loads of visits and comments by readers on our blog posts. This motivates us and tells us to work more to get even better results. Again on the other hand, no blogger will feel happy when he will see that his hard worked content is invisible to the world and no one is reading it. A lot of bloggers are experiencing this problem. They might have tried various means to get more readers to their blog, but all to no avail. So I have a good news for you today. Now you don’t have to worry anymore. I’ll be sharing with you some proven methods to improve your blog’s visibility. For those who don’t know, a blogs success depends mainly on the quality of content it provides. And if you take a close look to every successful blogs around you, you will discovered that they didn’t become a top blog by luck or fluke, rather they became an authority by providing values to their readers. Content creation as gone past the era of just putting words on paper, in this new era, you need to give people quality pieces that will educate and interest them. You should not just write for writing sake, rather you should write articles that people will love and be willing to share. You may be wondering why your content is important for getting more visibility for your blog. The reason why your content is very important is because this is the only way to prove your expertise and attract more readers. If you provide quality content and a reader comes across one of your post, you have a higher tendency of getting a comment and social media share from such reader; and If this reader shares your post on Facebook and Twitter, you tend to reach a new set of audience which is his/her followers and hence you get more visibility and readership for your blog. When you create great posts that people will love and want to share, you will naturally get attention and recommendation from people. Readers will gladly share and recommend your blog to their friends, relative and tribes; thereby increasing engagement in your blog. Creating great content is a surefire way of getting free promotion from people, and as you may have heard, “people tend to buy from people they know (trust), so why not create great contents for people and increase your readership? 2. 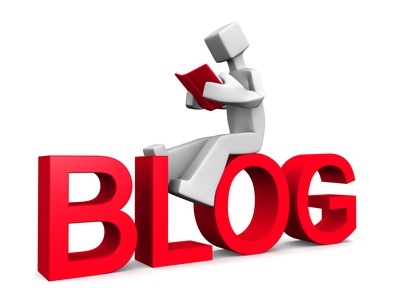 Engage in Guest Blogging. Take it or leave it Guest Blogging Works! A lot of bloggers like Bamidele Onibalusi, and Danny Iny have achieved great success with their blog within a short period of time with the help of guest blogging. They built authority blogs within a short period of time with no much extra effort other than guest blogging. Guest blogging gives you the opportunity to showcase your blog and your skills to a new set of targeted readers that may end up becoming loyal readers; With guest blogging, you don’t need to worry about getting people to read your content, the host blog already has a followership of loyal readers who are eagerly waiting for your post! With guest blogging, your content already has ready-made consumers who are eagerly awaiting what you have to offer them. All that is left for you is to take your time to come up with something educative and interesting! The kind of post that your host blog readers will love to read and share. Take your time to go through your host blog’s recent posts (minimum of five) to have an idea of the kind of posts that the community there loves and come up with a good complimentary post on those subjects and send it in. Always try to stand out in crowd in guest blogging blogs. If you are able to put in your best and you are able to come up with something Great, then you are on your way to more readers and visibility. So, if you are struggling with getting more blog readers, I will strongly suggest you give guest blogging a trial and I know the result will amaze you. Social media is one platform that you should never underestimate as a blogger! If you share good content and engage well you will be amazed to see the increase in readership of your blog. Social networking sites like Facebook and Twitter helps a lot in getting more exposure for your blog. When I check my referral traffic statistics in analytics, I have found Facebook and Twitter to top the list of my referral traffic list and I believe this is the same for most bloggers out there. If you want to really increase your blog visibility via social media, I will advise you to look for those social networking sites where you know people in your niche do engage pretty well, join them and connect with like minded people there. Personally, I will always recommend Twitter and Facebook to anyone because they are the most widely used and they are quite effective for increasing a blog’s readership. If you are looking to get more from social media, especially Twitter. I will recommend you make use of various social media tools that are available on the internet one of such tools, of which my favorite is JustRetweet. It is a tool that helps you get more tweets and retweets for your blog post and it is absolutely free to join. Blog communities are great communities where bloggers from various walks of life in different countries come together to share their content and interact with each other. I have benefited a lot from the love of blog communities especially BizSugar, which once topped the list of my referral traffic sources. If you want quick exposure and more readership for your blog, I can gladly tell you that blog community is the way to go for you. To get the best of blog communities, make sure you try to follow people in your niche and vote for their contents and they will probably do the same foe you too. You should also try to submit other peoples post once a while; also comment on other people’s submission and don’t just make everything to be all about your blog only!